Multiple closely watched refinance rates trended upward today. The average rate nationwide for a 30-year fixed-rate refinance increased, but the average rate on a 15-year fixed decreased. The average rate on 10-year fixed refis, meanwhile, advanced. Compare refinancing rates in your area now. The average 30-year fixed-refinance rate is 4.52 percent, up 9 basis points compared with a week ago. A month ago, the average rate on a 30-year fixed refinance was higher, at 4.64 percent. At the current average rate, you’ll pay $507.87 per month in principal and interest for every $100,000 you borrow. That’s an extra $5.34 compared with last week. You can use Bankrate’s mortgage calculator to get a handle on what your monthly payments would be and see how much you’ll save by adding extra payments. It will also help you calculate how much interest you’ll pay over the life of the loan. The average rate for a 15-year fixed refi is 3.73 percent, down 2 basis points over the last seven days. 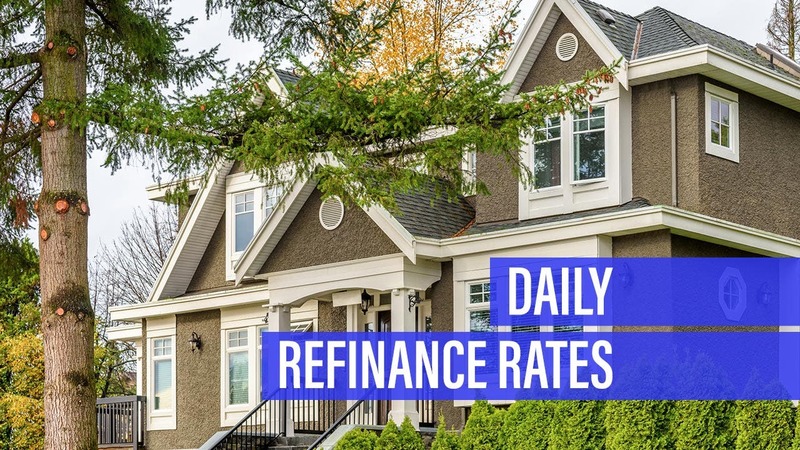 Monthly payments on a 15-year fixed refinance at that rate will cost around $726 per $100,000 borrowed. That may put more pressure on your monthly budget than a 30-year mortgage would, but it comes with some big advantages: You’ll save thousands of dollars over the life of the loan in total interest paid and build equity much more rapidly. The average rate for a 10-year fixed-refinance loan is 3.71 percent, up 4 basis points over the last seven days. Monthly payments on a 10-year fixed-rate refi at 3.71 percent would cost $996.84 per month for every $100,000 you borrow. If you can manage that hefty monthly payment, you’ll enjoy even more interest cost savings than you would with a 15-year term. To see where Bankrate’s panel of experts expect rates to go from here, check out our Rate Trend Index. Want to see where rates are right now? See local mortgage rates. Methodology: The rates you see above are Bankrate.com Site Averages. These calculations are run after the close of the previous business day and include rates and/or yields we have collected that day for a specific banking product. Bankrate.com site averages tend to be volatile — they help consumers see the movement of rates day to day. The institutions included in the “Bankrate.com Site Average” tables will be different from one day to the next, depending on which institutions’ rates we gather on a particular day for presentation on the site.